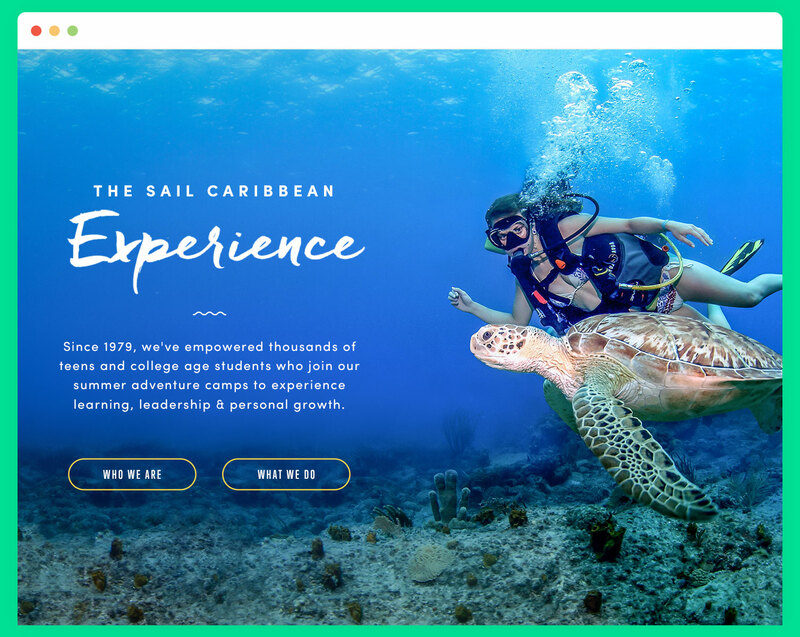 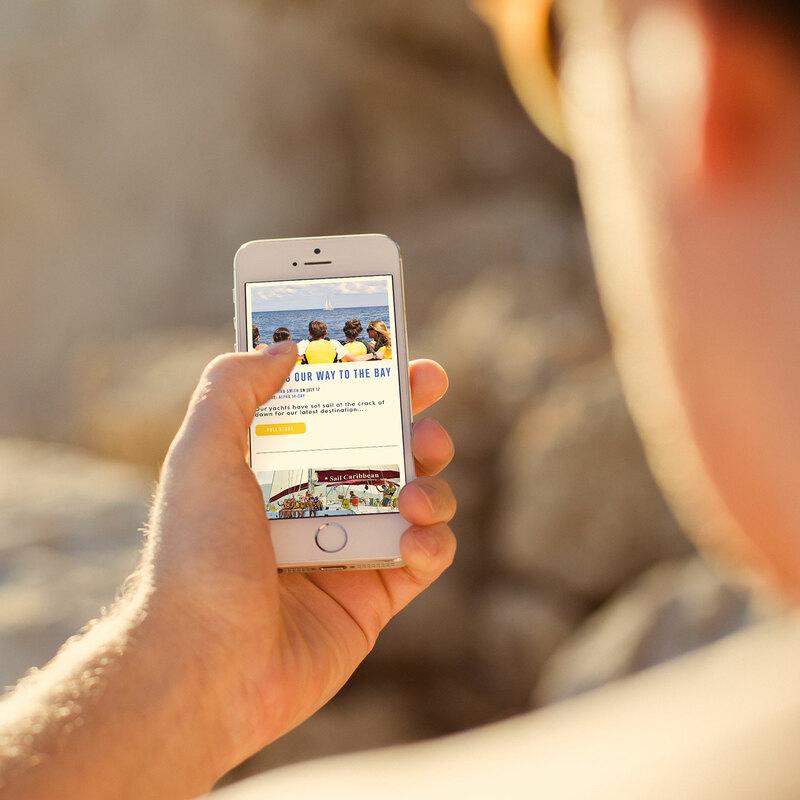 We redesigned the Sail Caribbean website from the ground up on a responsive platform. 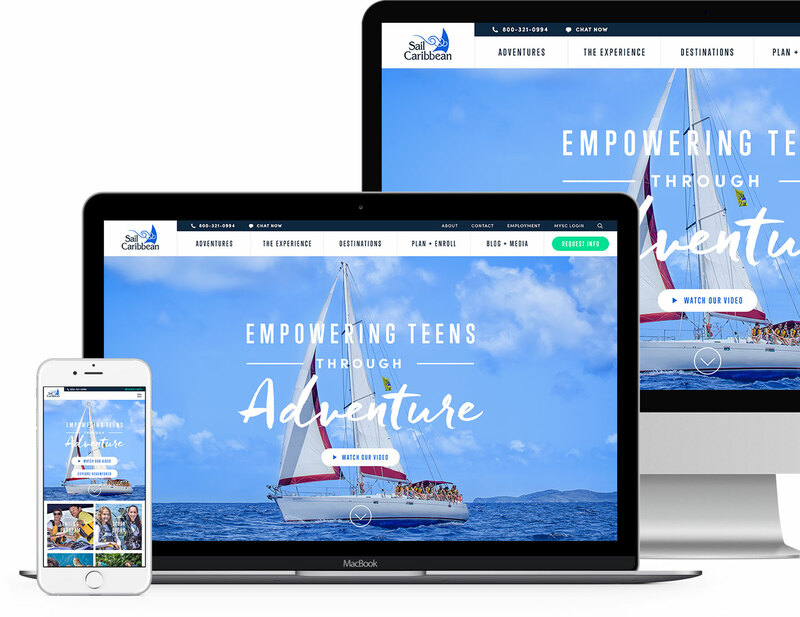 With a legacy that dates back over 35 years, written content was balanced with compelling photography to tell the brand story. 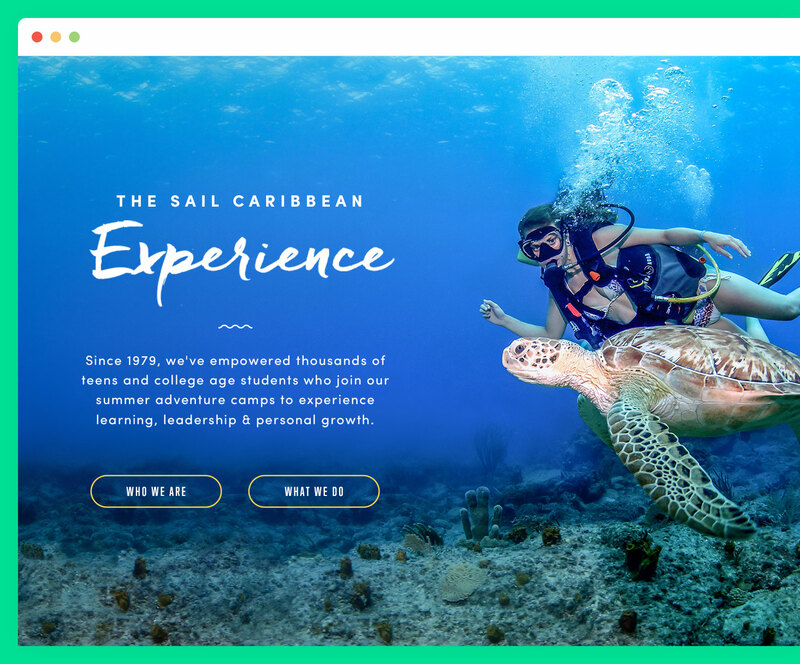 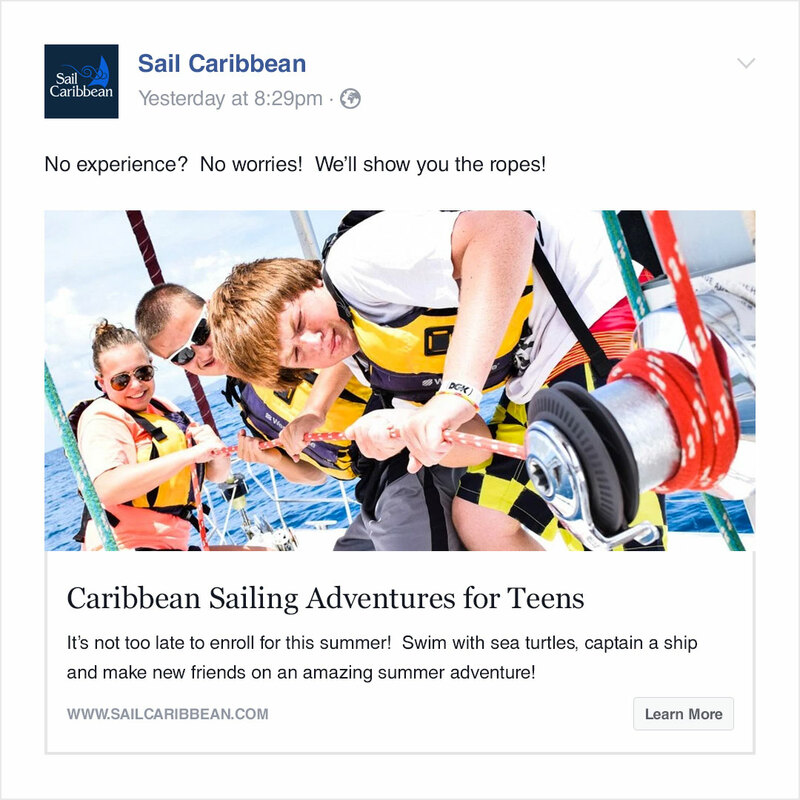 Adventure-type icons were created to bring attention to Sail Caribbean’s core focus areas. 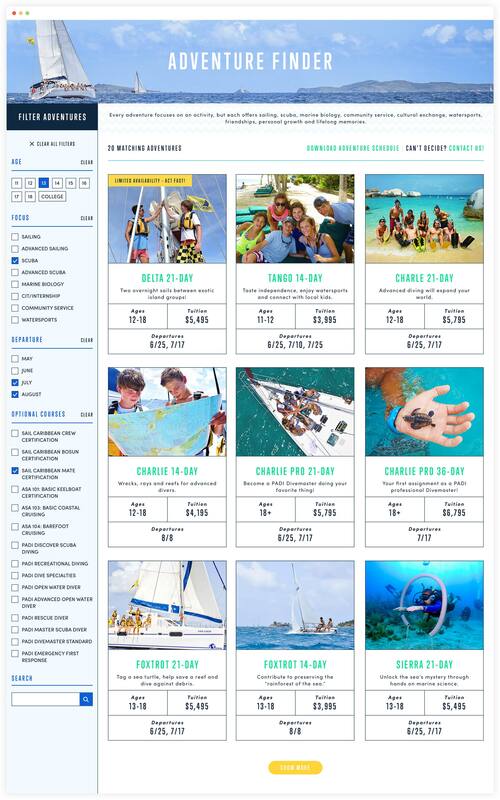 Adventure snapshots were designed with a mix of photos, branded elements and key information. 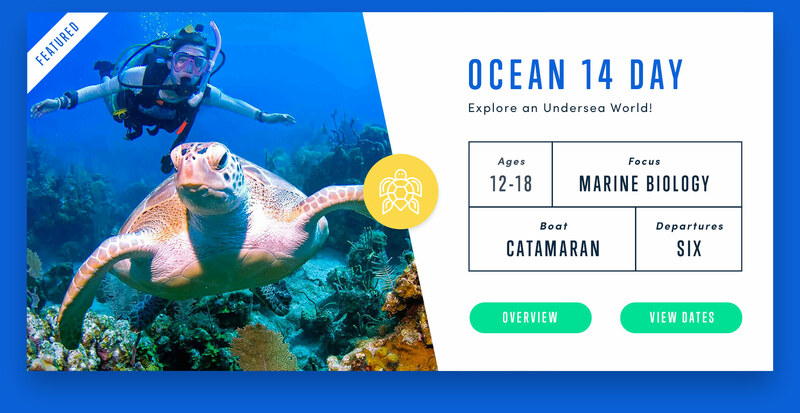 Deep filtering and media-rich adventure profiles quickly match travelers to their perfect adventure. 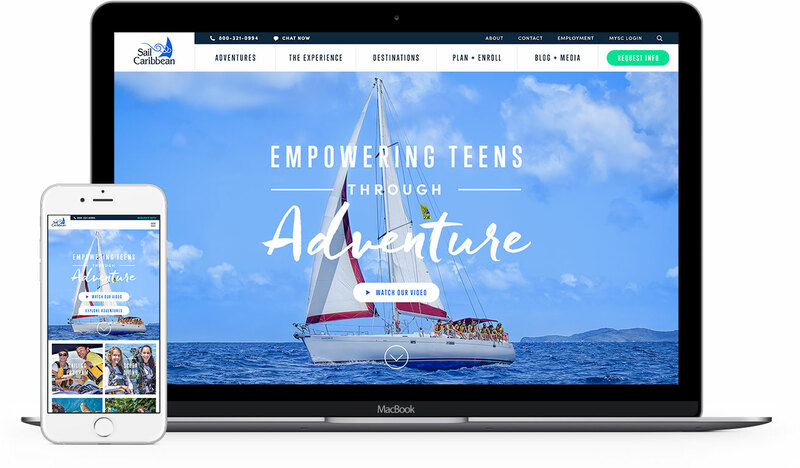 A custom blog format allows families to keep up with their student’s adventure from anywhere. 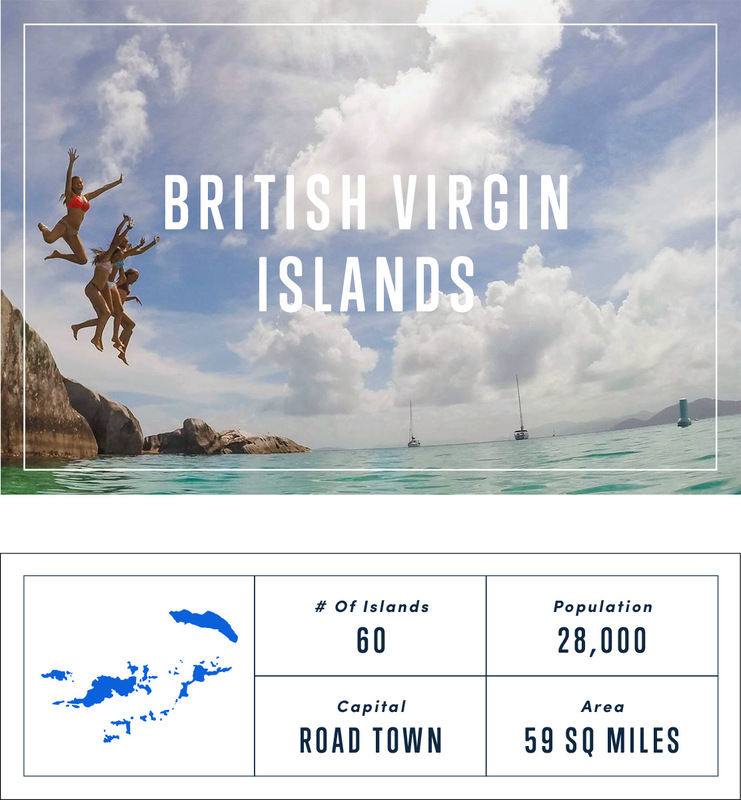 Sail and dive maps were created alongside photo galleries and fun facts about the islands. 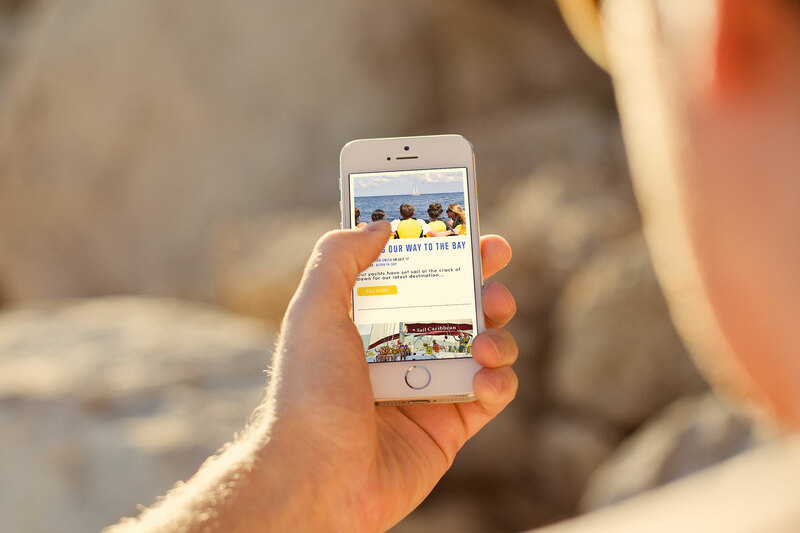 Social media and search engine marketing campaigns are used to attract and retain travelers.